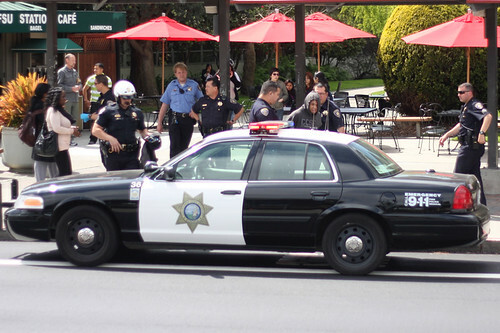 Published on : April 11, 2011 Published by : Gil Riego Jr.
At approximately 3 p.m. today, a campus police officer was assaulted while attempting to give a smoker a citation, according to University spokeswoman Ellen Griffin. Griffin states that both the officer and suspect, who is neither a student or employee at SF State, were transported to a local hospital to be treated for minor injuries. The suspect will be charged with resisting arrest, battery of an officer and the initial smoking citation, she said.